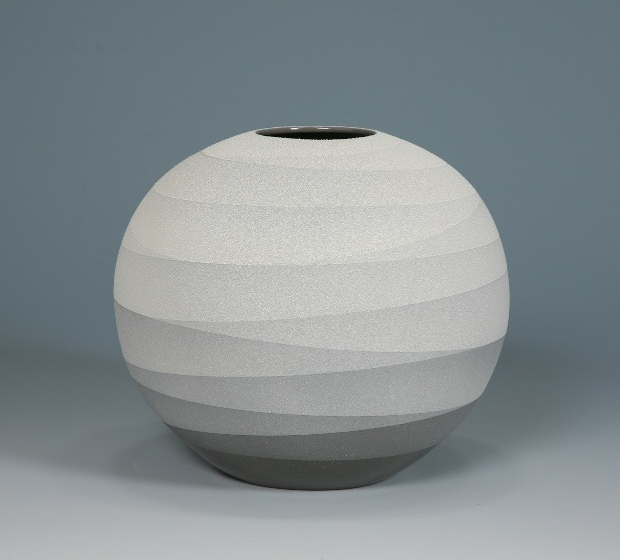 These fantastic monochrome vessels by ceramic artist Yoshitaka Tsuruta caught my eye earlier in the week. 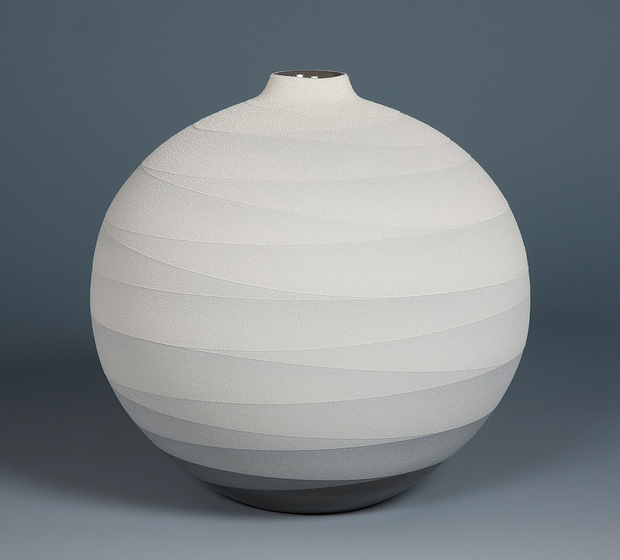 It’s great to see work that’s so unique and different, in fact I’ve never seen anything like this in all the years that I’ve been coming across pottery and ceramics. 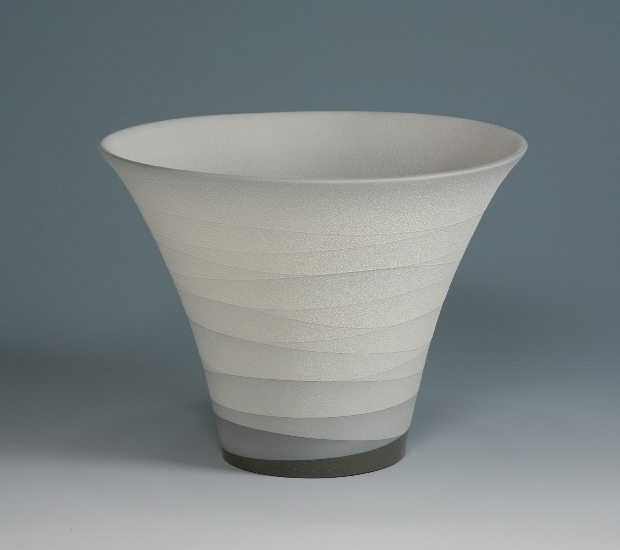 A few elements that I like include the form and shaping, which is striking in itself, also the white slip over the top which adds both texture and character. This monochrome effect also has a concept behind it which becomes more apparent as you scroll down the page. The thickness of the white engobe leaves minute white grains to replicate a snow or sand like texture, all the lines act as undulations which resemble the ridge line of a mountain or the slope of a hill. 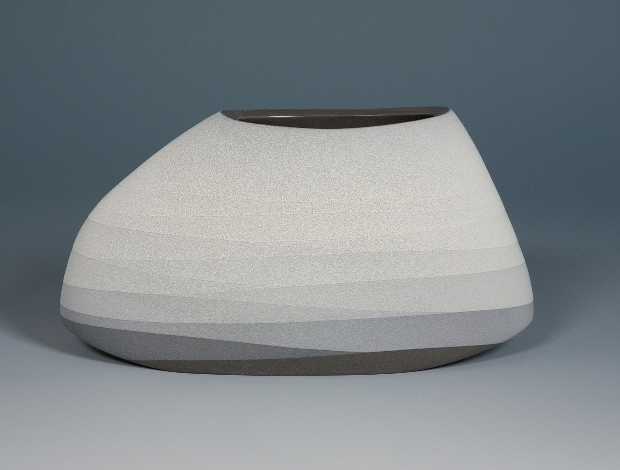 Overall you get this sense of something natural and monumental, for example the image below which reminds me of a mountain shape since it doesn’t really look like a bowl or any other vessel that I’ve seen before. 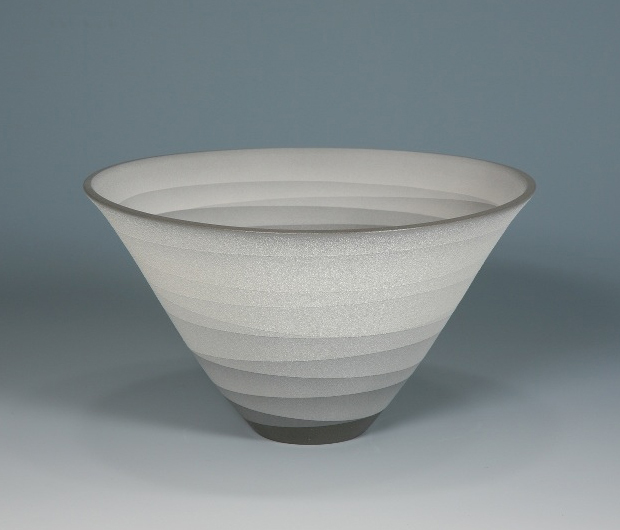 Yoshitaka Tsuruta has his studio in Nagasaka, Yamanashi Pre­fec­ture where he’s surrounded by nature and open space. The window of his studio offers a beautiful look out to the Yat­sug­atake mountains, where the lanscape continues to change with each passing moment. 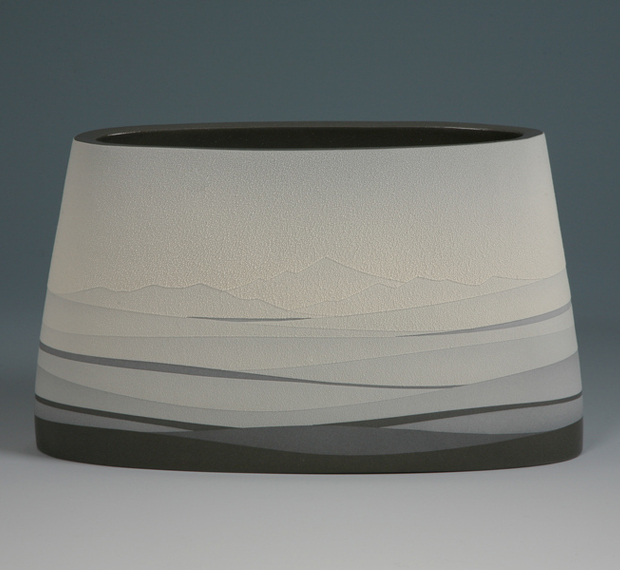 These particular mountains are definitely the inspiration for this series as I can almost see the shapes appearing through the pots. You should definitely google Yat­sug­atake and compare, you can try and spot the difference. These photos here were sourced from the Onishi Gallery website, who’re based in New York and present a fine selection of contemporary works by artists from Japan and Asia. So these are art works more than functional goods, which isn’t something we always present here, but I thought they were highly relevant and inspiring nonetheless. It says on the Onishi website that he uses a technique of masking which allows him to get these interrelating lines that carry depth and meaning, making quite them look quite abstract. I’d be very intrigued to see this technique in person or on video since it’s not something I’ve noticed being used much before, usually the Japanese use expressive flicks of a paintbrush instead. One final note is the rela­tion­ship between the black clay and the white slip. It’s fascinating to see such a simple balance that works so well, a no fuss approach that doesn’t rely on colour to make a statement. Just brilliant. 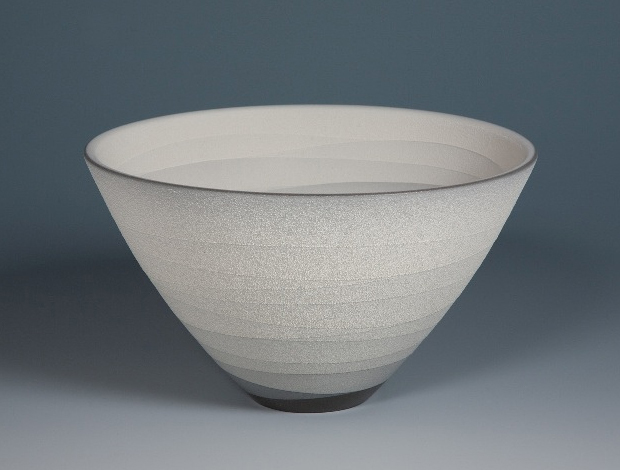 Head over to the Onishi Gallery webpage on the link below to see more pots from Yoshitaka Tsuruta and other East Asian artists.